Being Retro: 500th Post... Oh Yeah! 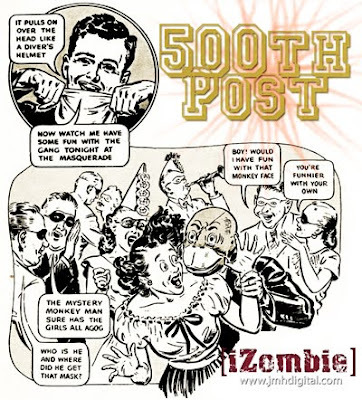 Okay, I cannot believe it either... i skipped over the 400th post, and figure it would take me forever to achieve this many items.... Now I would have not done it without the help of all my blogger friends and support from the "iZombie Lab"... it seems the doctor is always in. Congrats! Doing a great job. Wow has it really been 500 already?? Great work my friend and a big congrats! Heres to thousands more to you and your zombie!